Direct to garment printing is not exactly new to the decorated apparel industry. However it is starting to get recognized as a decoration of choice. The benefits for DTG need to be incorporated into any marketing program a decorator choosing. The best way if you are a newbie is to start printing sample shirts. Taking advantage of easy production should let you do at least two shirts a day and present Saleto your client. 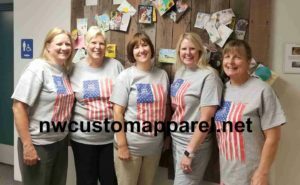 At Northwest Custom Apparel we have a program called the WOW program. 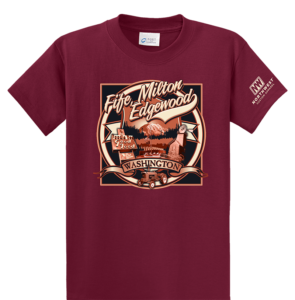 We print sample shirts on the fly and send them to our customer data base. The results are really good. We let our customer know it is easier for us to send a free sample and stay away from a time consuming sales call. Our customers who are business owners see our logic. They agree that the days of making sales calls are expensive and time consuming. In the Seattle area we are rated number 5 in bad traffic. Going to Seattle is a half day event for us. Why should we go when we can get UPS to do the driving? Another marketing tool we like to use is direct mail. There are so many companies offering printing and mailing services that it would be crazy not to take advantage of this bargain. We like to design a nice post card and then send to our targeted customer data base. On average a 1,000 piece print and mailing will run about $800.00. This is a bargain when you can stay in front of your customers on a regular basis. E-mail marketing will work if you have a strong customer base who will open your e mails. One thing to be aware of is the fact that you might get a lot of spam bounces. This can hinder your whole direct mail program if start getting a lot of rejection. In summary we recommend first actual samples, the direct mail and finally e-mail.